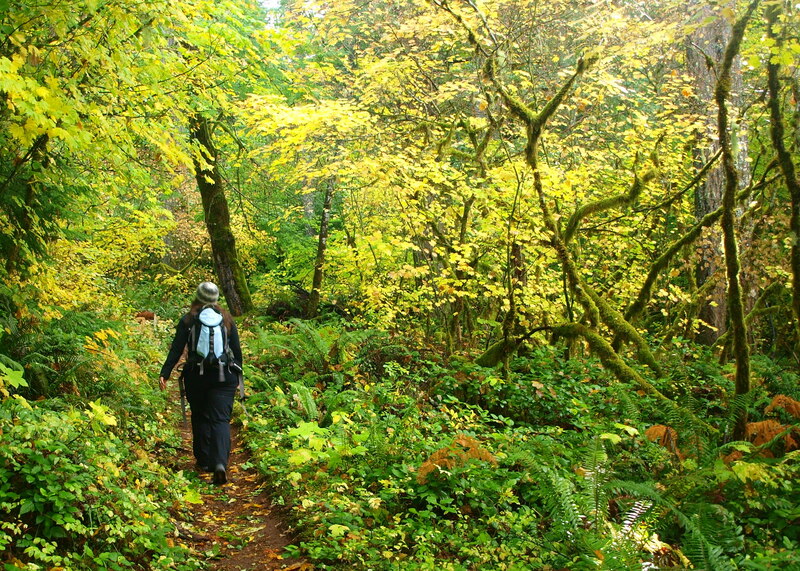 Fall hiking in the Northwest is special. There is of course the smattering of oranges, reds, and yellows that appear thanks to our deciduous friends. But there are also the rich, bright, and occasionally florescent greens of the mosses and lichens that re-emerge thanks to the return of rain. Backdrop it with evergreen Doug firs and Western red cedars and you have an almost unbelievably vibrant setting for a walk in the woods. Click on pic for larger view.